We are dedicated to serving your Rolex or High-grade watch needs according to factory standards. Most watch manufactures recommend a complete watch service every 3-5 years. Our watch overhauls come with a 6 month to 2 year warranty (depending on the age of the watch). If your mechanical watch is running more than 2-3 minutes fast or slow a day, it may be time to have your watch serviced. 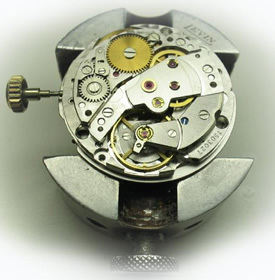 If you are in need of a full restoration just visit the Watch Restoration page and see what we can do for you!